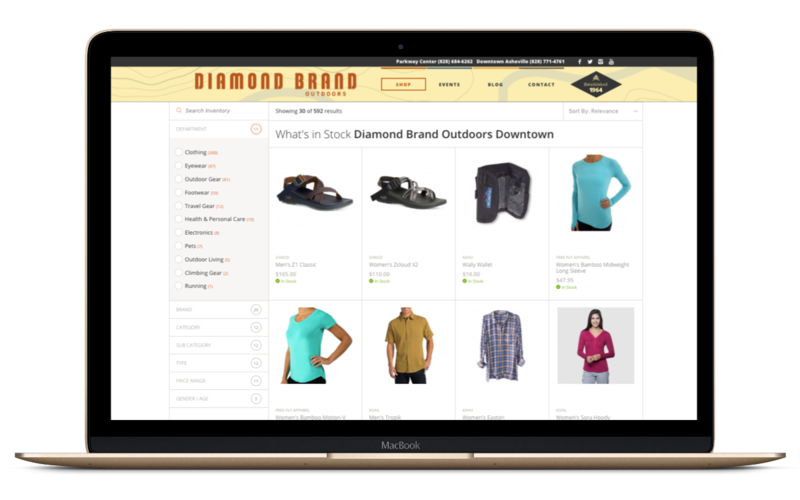 For most stores we work with, they have two choices for reaching online shoppers: do nothing, or launch an expensive and likely unprofitable ecommerce site. With Locally, there’s another way. 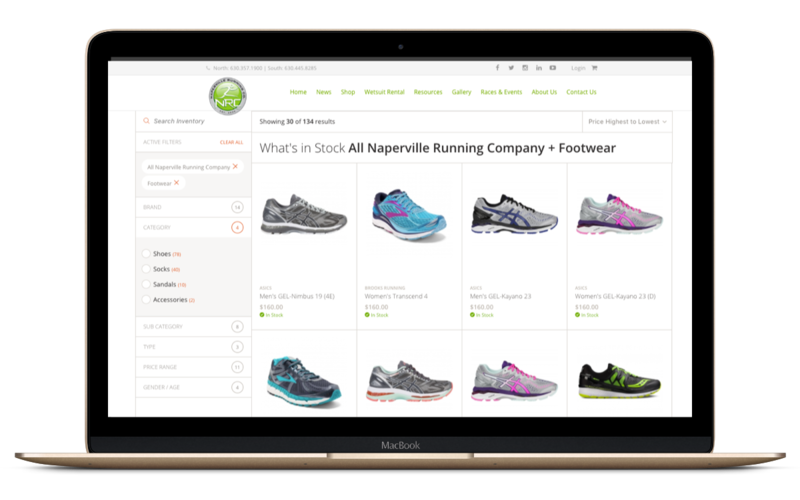 Our Locally Pages™ tools allow you to effortlessly broadcast your in-stock merchandise on your own website and social channels and power transactions for in-store pickup. Locally Pages™ makes it simple to grab your inventory from locally.com and post it to your own website. For free. If you can copy and paste, you can install Locally Pages™ on your site in minutes. 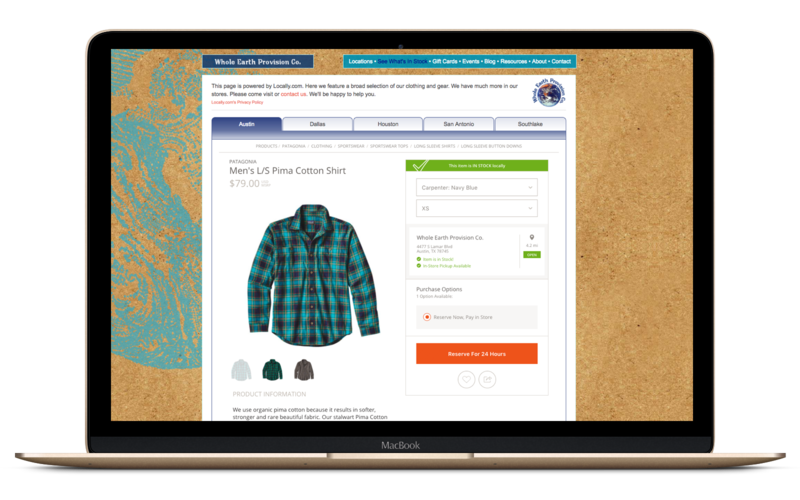 Drop in your entire inventory onto a single page of your site. Or easily embed different segments of your product selection pre-filtered by brand, category, gender, and more on your own site. With Buy It Locally™, shoppers can not only see what's in stock at your store, but they can reserve or pay for items for in-store pickup. 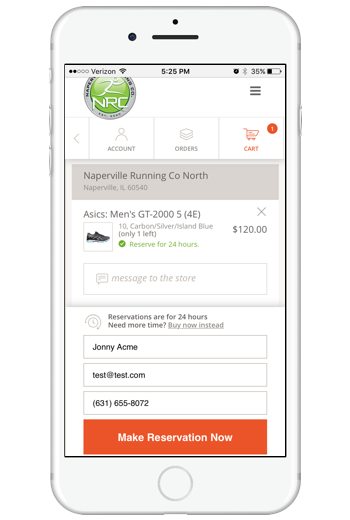 Reserve Online, Pay In Store A simple 24-hour hold request for in-store pickup. Pay Online, Pick Up In Store Payments, which are processed by Stripe, guarantee the sale. Local Delivery (coming soon) Our local delivery option will allow shops to provide same-day delivery service for nearby shoppers. You promote your products and brands on social media, but what's the goal? Promoting products online often leads to online purchases. Locally Pages for Facebook™ helps you connect all the dots. With Locally Pages for Facebook™, you can add your inventory to your store's Facebook Page in about 45 seconds. You read that correctly. 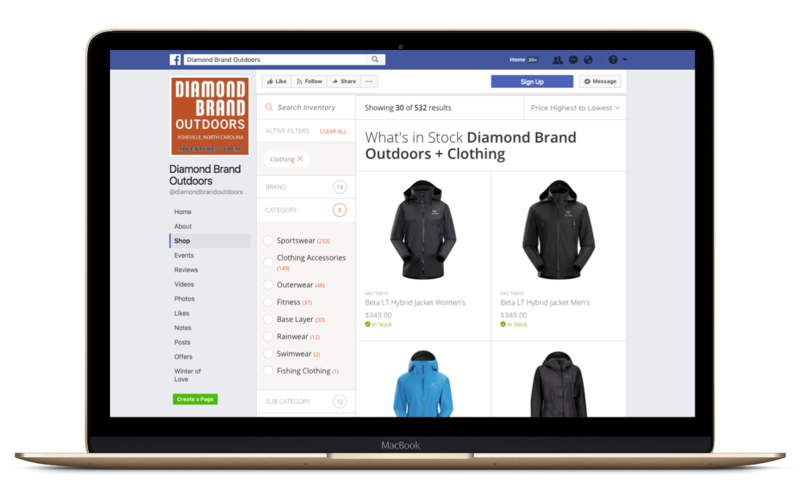 It is totally free for any retailer sending a Locally inventory feed to use Locally Pages™ to broadcast hundreds or even thousands of in-stock products on your own site and Facebook Page. This is part of the service that our partner brands are providing by being involved with Locally. Naperville Running Company, one of the top run specialty stores in the country, uses Locally Pages™ to show shoppers what's in stock at their two locations on their website and fulfill requests for in-store pickup. Outdoor specialty retailer Whole Earth Provision Co. uses Locally Pages™ to effortlessly broadcast inventory at their five locations to shoppers on wholeearthprovision.com. Mountain Chalet installed Locally Pages™ so that shoppers can load pre-filtered pages and browse by brand or by category. 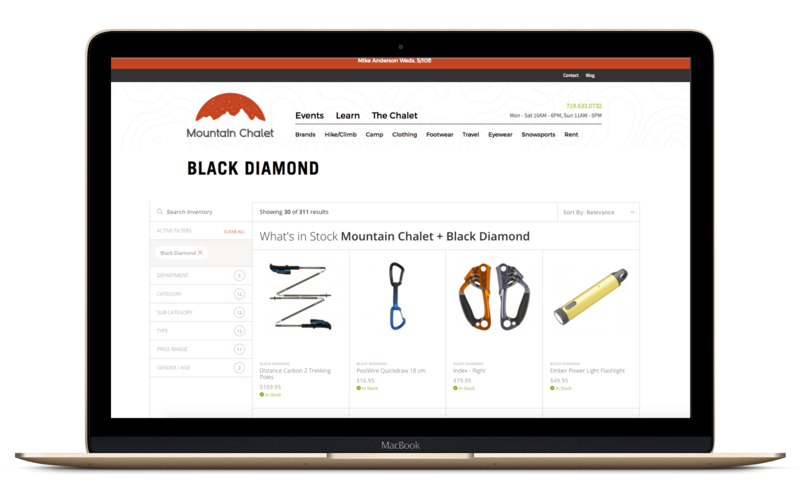 Load mtnchalet.com and click any of the categories to see pre-filtered Pages for that result, or click "Brands" to zero in on all available inventory for that brand.